The Federal Housing Administration has been helping Americans get loans for over 70 years. Here’s an overview of the Administration, better known as the FHA. The Federal Housing Administration is, ironically, more of an insurer than anything else. The FHA does not provide mortgage loans to you and me. Instead, it insures mortgage and home loans provided to us. This makes lenders more willing to write loans for people that otherwise would be frowned upon. The insurance aspect of the FHA is a fairly common tool used by the federal government to promote a specific behavior. Student loans are a classic example. An 18-year-old person typically couldn’t qualify for a loan to buy a sandwich, but student loans are plentiful and easy to get. This is because the federal government wants to promote education and does so by guaranteeing the loans. If you fail to pay the lender back, the government is on the hook. The FHA provides similar insurance for the purpose of promoting homeownership in the United States. In fact, the FHA is biggest mortgage insurer in the world, doing so for over 30 million mortgages since it was created in the 1930s. FHA loans are a very attractive mortgage option. Unlike a private mortgage, FHA loans are designed to cut you a major break so you can buy a home. The break comes in the form of a very small down payment. The typical down payment is only three and a half percent, a huge break compared to the 20 percent most traditional mortgage lenders like to see. To the surprise of many, the FHA is not funded with our tax dollars. Instead, it is funded by premium payments. If you go with an FHA loan, you will have to pay the insurance premiums the FHA charges in providing the loan. This typically occurs for the first eleven years of the loan or until the debt ratio on the home is roughly seventy-eight percent. The figures change, so make sure you get an accurate depiction if you are considering an FHA loan. 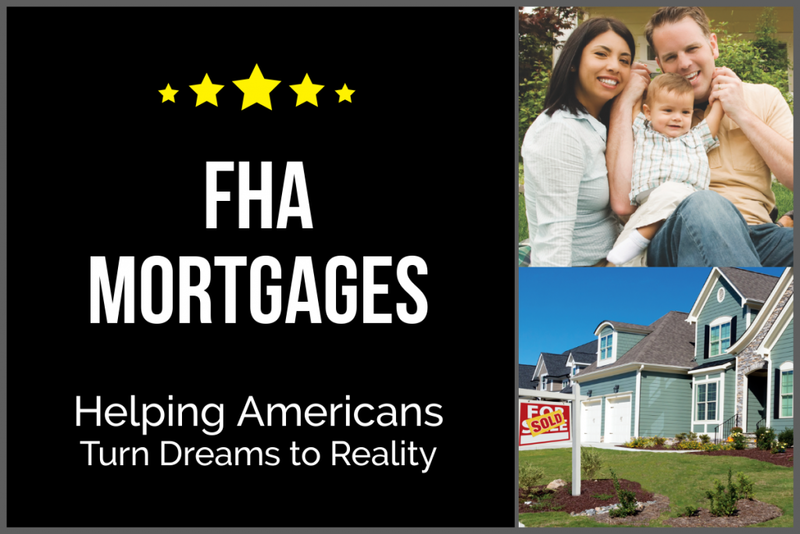 In many ways, the FHA has revolutionized the mortgage industry. When it was formed in 1934, homeownership was a fairly rare occurrence. To buy a home, you typically had to provide a down payment equal to half the value of the home. The mortgages were also fairly short with some being only three years. At the end of that period of time, you had to come up with the total then due. Talk about a tough real estate market! Ultimately, the FHA serves as a stabilizing force in the real estate market. Private lenders can change mortgage requirements for better or worse, which can dramatically impact the ability of people to buy homes. The FHA smoothes out these fluctuations by always providing a mortgage loan resource.